Congrats to Meagan Gibson, our Chief Academic Specialist at C.A.R.E. for earning Teacher of the Year! She has played a great part in developing programs for Youth Louisiana; We salute you! Did you know Meagan created the first virtual Academic Resilience Training Tracker? Wow, congratulations, Meagan! It is wonderful to be a part of something so positive and powerful. 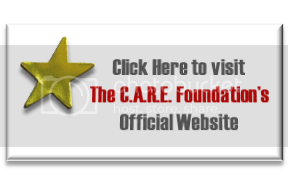 I was just a teen when I met the founders of C.A.R.E. They are some of the most influential, positive, energetic people I have ever met. They’ll make you feel like a champ. Then you will start becoming one. Chief Academic Specialist at C.A.R.E.